"Why pray? If God is sovereign, He is going to do what He wants. It is not like I can change anything." I have heard this argument about the futility of prayer frequently through the years. But I couldn't disagree more. Let me tell you why. But the second ingredient? The other "have to have" to walk with Jesus, for me, is PRAYER. 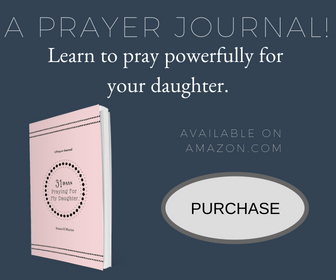 Prayer and the Bible intertwine because every reason I pray comes straight from the Word. I also pray many Scriptures straight back to the Father. The Word and prayer are intimately connected. (another "c" word!) The Lord commands ("c"!) 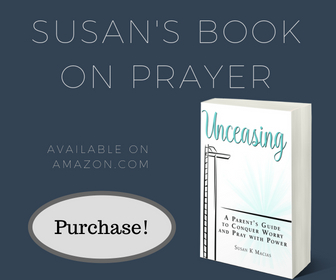 prayer when He says, "pray without ceasing" in 1 Thessalonians 5:17, (ESV). But to address the original complaint, why, when the Lord is all powerful and all knowing, does He even need me to pray? The short answer is, He doesn't. God DOESN'T need me to pray. But in the most divine of miracles, the eternal Father of the universe desires relationship with His children, so He calls us to conversation. (That is my favorite "c" so far. Conversation with God!) He actually WANTS to spend time with me and with you. Repeatedly in the Old Testament God states His goal, "..they will be My people, and I will be their God, ..." (Jeremiah 24:7 NASB). I am His and He is mine, so I pray. It is my great privilege. It is also my necessity. I need His power, direction, energy, and love, and I access His resources through prayer. I am not talking about my list for Santa here. Prayer is so much more than telling Jesus my needs. Prayer enables me to keep walking with Jesus. ~Because I have mountains that need to move. Ever feel surrounded by problems, issues, challenges, difficulties, hurt, disease? We each have our mountains that rise in front of us, blocking progress and causing hardship. When I am thwarted by a mountain I can either try to scale it in my own strength (which usually results in weariness, frustration, and injury when I fall and break my proverbial neck.) Or I can pray God would MOVE MY MOUNTAIN. God promises that praying in faith will move those mountains. Sometimes instantaneously, and sometimes stone by stone, but mountains do move by the power of Jesus and through the tool of prayer. When God freed the Israelite slaves from Egypt through the ten plagues, He was not done displaying His power. He allowed Pharaoh to pursue His people right to the edge of the Red Sea. The Israelites were blocked by the sea and the Egyptian army was breathing down their necks, threatening destruction. God had led His people to the perfect spot to show them His ever-present, beyond-measure care. Even though they did NOT respond with faith, but rather cried out with fear, still God fought for them. Verse 14 says, "The LORD will fight for you while you keep silent" which might seem to be the opposite of prayer. But I have found when I am faced with impossible odds, prayer doesn't always involve a multitude of words. God doesn't needs my suggestions for a solution. Rather, at those moments, prayer is more like silently sitting in my Daddy's lap, waiting for Him to intervene. After the Israelites escaped Pharaoh, you might think their confidence in God's ability would drive all fear and doubt from their minds. You would think. But when they approached the Promised Land, spies were sent in to check it out. Twelve men went in. Ten came back shaking in fear of the giants who dwelt there. But two- Caleb and Joshua- responded in faith. The only successful strategy for slaying giants is the power of God, and I access that through prayer. Caleb and Joshua knew that fighting giants required God and His work THROUGH them. David also slew a giant named Goliath THROUGH the power of the Lord. I face giants too. They mock me, scare me, and make me feel inadequate, unable, and foolish. I can only fight my giants through the power of God, and I acquire that power through prayer! I am so grateful Jesus does not require or expect me to be strong enough, brave enough, or smart enough. He knows about the mountain blocking my path, about the raging sea that confronts me, about the dangerous enemy pursuing me, about the scary giants fighting me, and about the deep weariness that pervades my heart. He. Knows. He knows my inside and how needy I am, and in the sweetest words of all He says, "Come to Me." As a Mom, I could tell when a child, who was losing it, actually needed time cuddling in my lap, rather than a time out or a spanking,. A long hug restored the stormy heart to a place of equilibrium and peace. So it is with me. When exhaustion overwhelms me and the load feels too difficult to bear, I run to my Savior in prayer. I pour out my struggles and then rest in His arms, as peace washes over me. The more often I turn to Him, the deeper ingrained that habit becomes. Prayer builds intimate fellowship with Jesus. Instead of listing my needs to Jesus, prayer rests my head on His heart. It causes me to fall into step with Him, and then go forward in the direction He points. I pray because there is nothing else I can do. And I pray because there is nothing I would rather do. I pray because JESUS. That is enough.